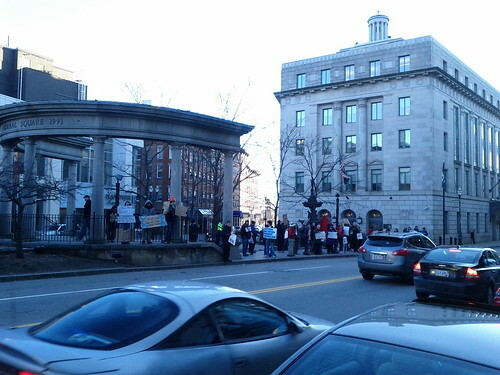 I was in downtown Worcester at the federal courthouse this afternoon for the first of four (!) 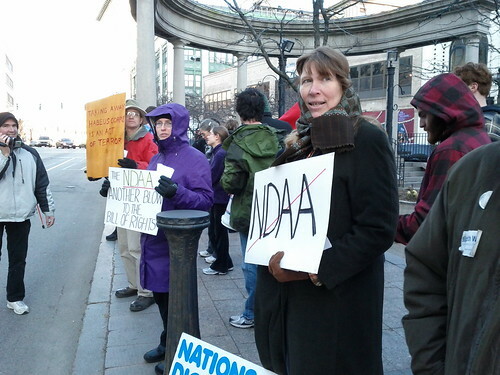 hours of an NDAA protest organized by Occupy Worcester. Interest in this event skyrocketed a couple days ago when the local Tea Party encouraged members to take part. The big Tea Party contingent hadn’t arrived by the time I left; most of the 30-40 people were familiar from past OW events.